For World Ocean's Day Crème de la Mer launched the Seven Seas App for your iPhone and iPad. 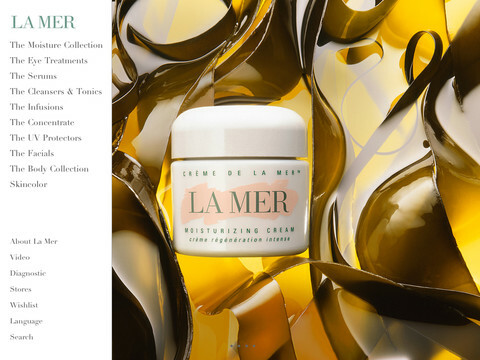 Now La Mer launches the iPad App for La Mer. 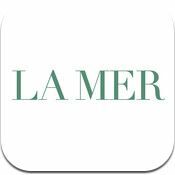 The App gives you access to world of La Mer, including shopping from the full range of La Mer products right on your iPad, learn about the newest introductions and to find your nearest Crème de la Mer store. 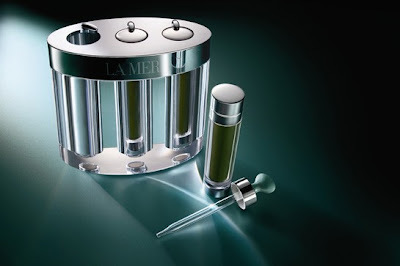 In addition the app features The Miracle Video, facts about La Mer and your personal wish list. Download now in the iTunes Store. UPDATE: See Additional La Mer iPad Screenshots. Crème de la Mer is sparkling in the UK this Christmas, with the limited editions Harrods exclusive Swarovski Crystal Glow keepsake box, and the Selfridges exclusive Crystal Encrusted Holder. 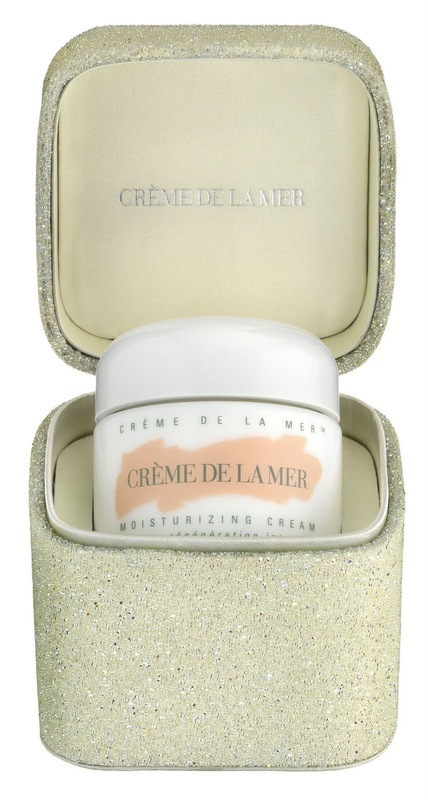 This sparkling holder contains a 60 ml (2 Oz) Crème - Crème de la Mer The Moisturizing Cream, and is only available in-store at Selfridges for a limited time only. 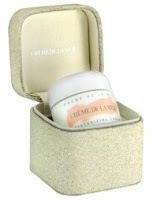 The limited edition Crème de la Mer Crystal Encrusted Holder is available at £ 200.00. 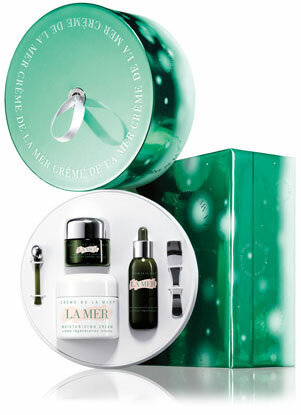 Every year Crème de la Mer introduces new gift wrapping for Christmas, like we've seen for this year's Christmas Collections. 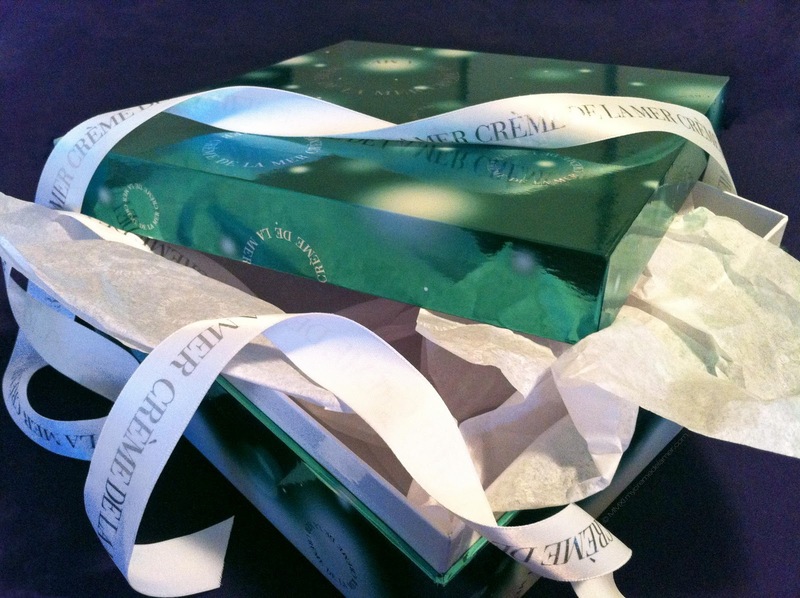 This year's new design reflects the rounded Crème de la Mer logo we've become familiar with on the Crème, Gel, Eye Balm, and Eye Concentrate lids, presented on top of reflective emerald green high-quality paper, boxes or tubes with sparkles that could signify either christmas fairy lights or snow. This design is also visible on the new tissue paper, which previously had the logo tiled in rows across the paper. The La Mer ribbon has also changed from light green with the text on the edges to white with the logo in silver, bigger and in the center. It's fun to know that La Mer has new gift wrapping every year, and builds to the excitement every Christmas to see which Crème de la Mer products you'll be getting. 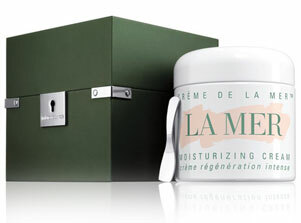 Kindly check with your La Mer Expert for availability in your area. NEW: The Reparative Body Lotion. 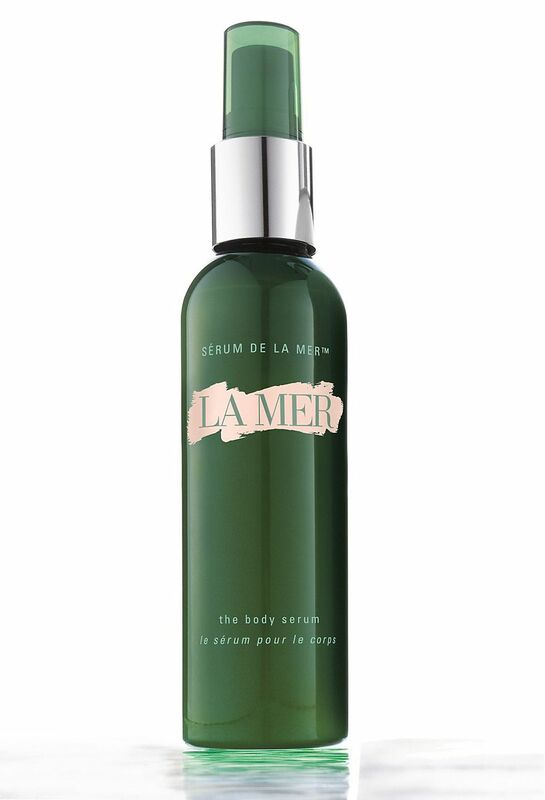 Sad news, Crème de la Mer The Body Serum is to be is now discontinued. But WATCH THIS SPACE - as that usually means that something exciting and better will be launched in its place, we should all know sometime early 2012. In the meantime we are all going to have to stock up with The Body Serum. SOLD OUT. Once only available by invitation, then by being on a waiting list, and now by in-store appointment only; Crème de la Mer The Essence, the most expensive creation from the La Mer Max Huber Research Laboratories, making waves at about $ 2,900.00 for the 3 week treatment, currently more expensive than platinum or gold. 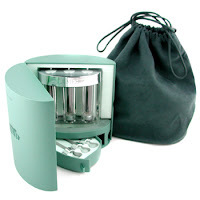 The Essence gets presented with carrying bag in a foam-lined jewelry-style case with droppers and a beautiful Plexiglas container with three 15 ml (0.5 oz.) magnetized glass tubes. 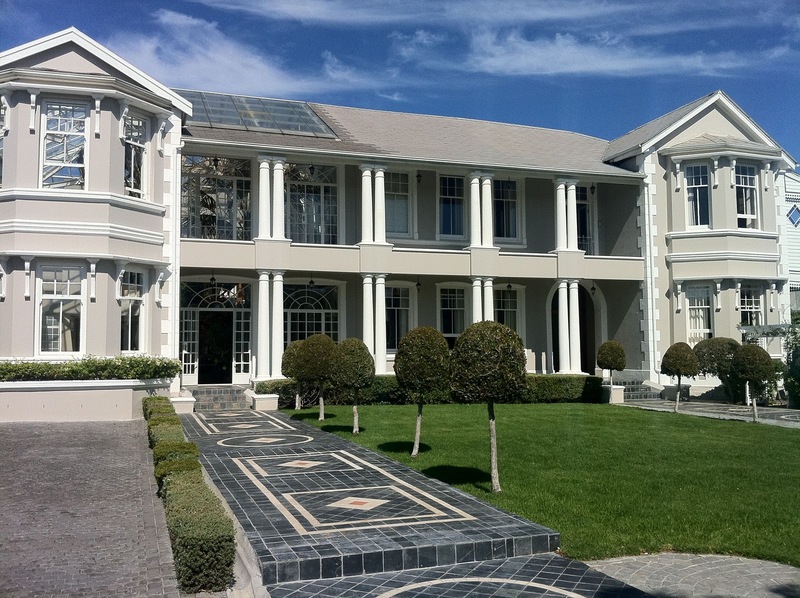 It’s the miracle inside that caused more than 100 units to be sold within the first 3 weeks of it being available at Harrods of London – The Miracle Broth, Dormancy and Mariponic. 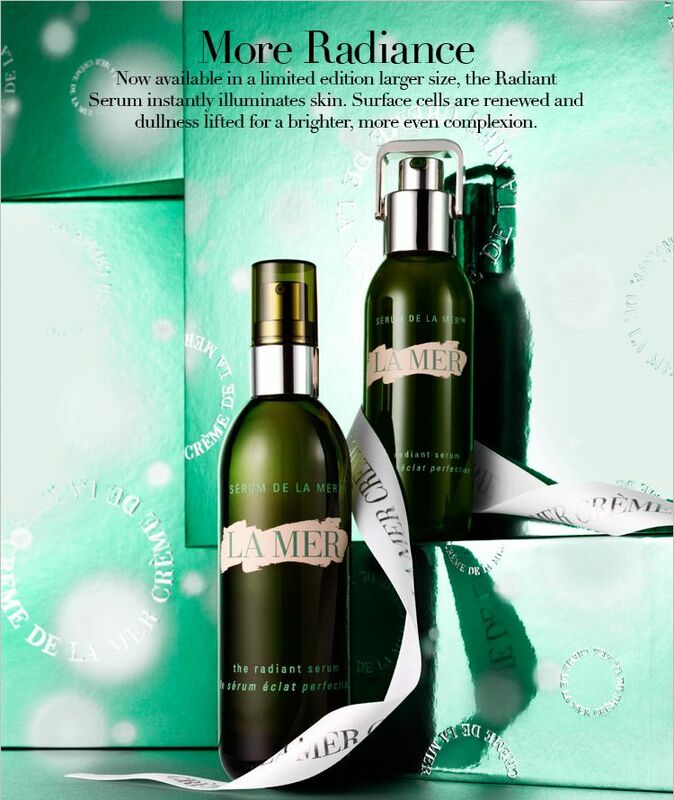 Another Christmas gift I am going to spoil myself with - La Mer's limited edition larger sized Radiant Serum! And what's that we're seeing here? This luminous product has evolved from dropper, to pump, and now spray top (like I love on The Radiant Infusion and the Hydrating Infusion). The limited edition Radiant Serum will be available in a 2.5 oz. size (at $ 495), compared to the 1 oz. (at $ 250). If you are devoted fan of Crème de la Mer, this serum is a must in your skin regimen, as it works deep into your skin, aids in improving complexion and discolorations, and gives you that J-Lo glow! 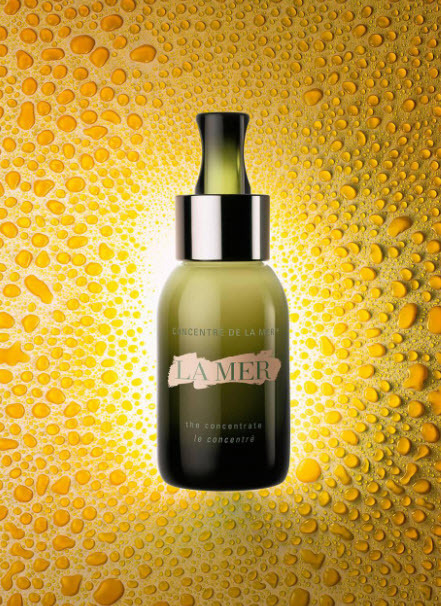 Shop The Radiant Serum at lamer.com. 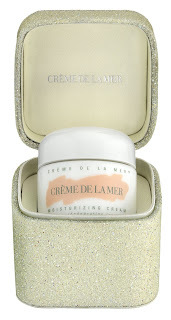 Exclusive to Harrods - The Limited Edition Swarovski Crème de la Mer "Crystal Glow" Moisturizing Cream. 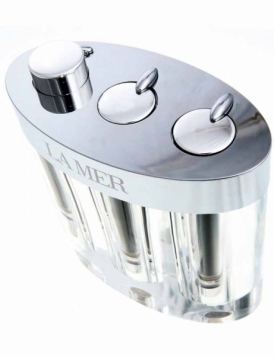 This 500 ml (16.5 Oz) jumbo sized version of La Mer is presented in an acrylic holder with a sparkling Swarovski Elements encrusted lid. Produced exclusively for Harrods, and is yours at only £ 1,400.00. Shop Now. If your in London over the Holidays, pop into Harrods to enjoy the Harrods Crystal Christmas 2011. Also see Crystal Encrusted Holder. 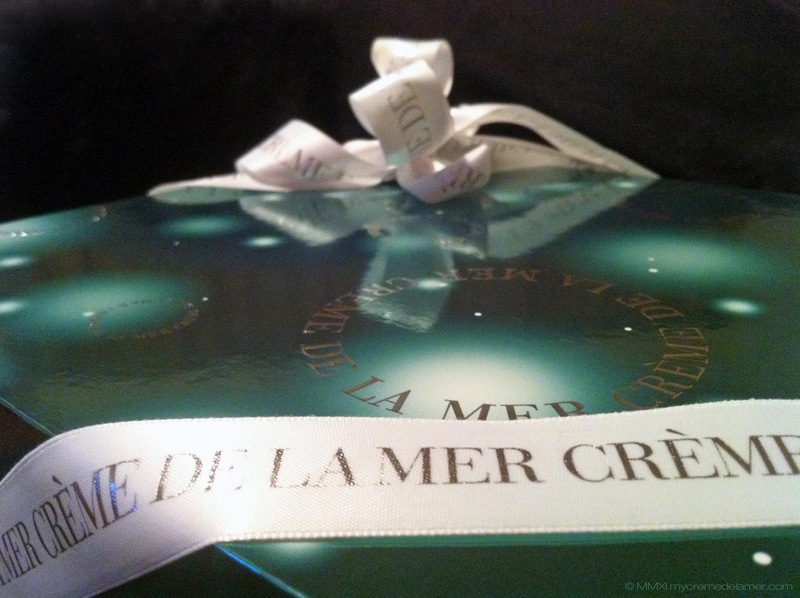 Crème de la Mer is offering fantastic limited edition gifts for Christmas, which is great value for money and gets presented in beautiful gift-boxes. 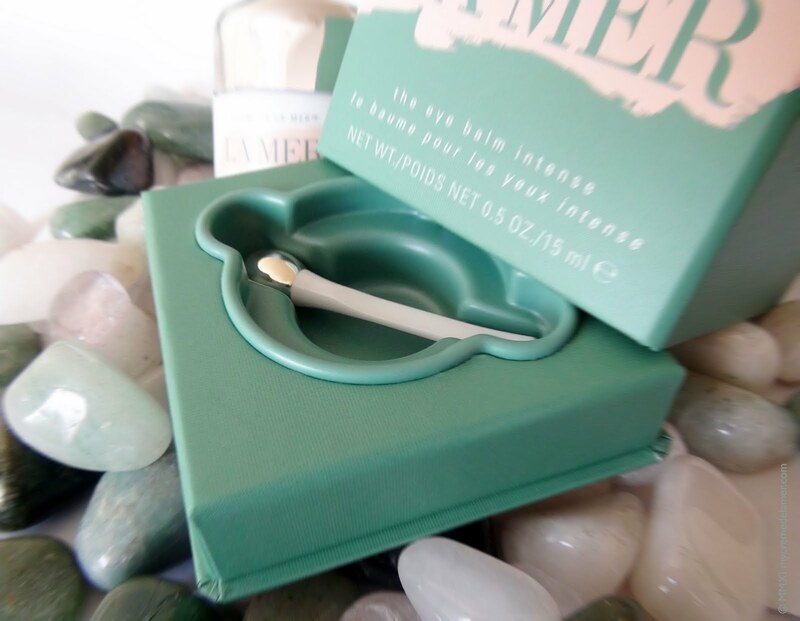 Kindly check with your La Mer Expert as to availability in your area, and if the La Mer gift wrap services applies to any of your other La Mer purchases. 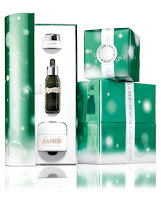 This Luxury Essentials Holiday Gift Set contains Crème de la Mer (2 Oz), The Regenerating Serum (.5 Oz), and The Eye Concentrate (.5 Oz), these treatments are designed to focus on the youth-enhancing benefits of Crème de la Mer. 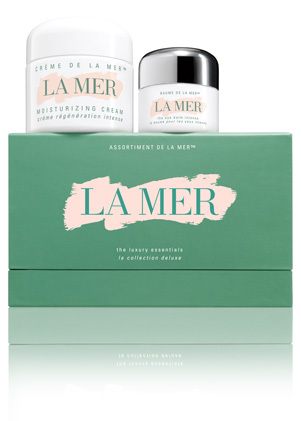 Shop online at lamer.com or lamer.co.uk. Suggested retail pricing of $ 415 (£ 305), while limited edition stocks last. The smaller Discovery Collection Gift Set contains Crème de la Mer (1 Oz), The Radiant Serum (.5 Oz), and The Eye Balm Intense (.17 Oz), focusing on creating a more luminous appearance. Suggested retail pricing of $ 260 (£ 200), while limited edition stocks last. The Luxury Essentials Eye Edition is available in 30 ml or 60 ml of Crème de la Mer with The Eye Balm Intense now in a limited edition case. Suggested retail pricing of $ 350 (£ 260) for the 60 ml, while limited edition stocks last. Crème de la Mer launches the "Legendary Luxury" limited edition King Kong-sized (16.5 oz / 500 ml) Crème in a beautiful treasure chest. 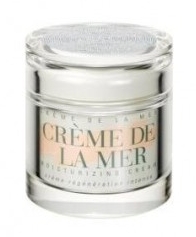 This coffre au trésor is available for a limited time, only in the Crème de la Mer's Moisturizing Cream, and not the Gel, Lotion nor Oil-Absorbing Lotion, which is the perfect moisturizer for the chilly winters in the Northern hemisphere. Your christmas gift to yourself retails at the suggested price of $ 1,650 (£ 1,150). 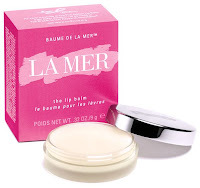 Shop Now at LaMer.com. Elizabeth Hurley, spokesmodel in her seventeenth year for Estée Lauder (La Mer's parent/distribution company) talked at Bloomingdale's on 59th street in New York today, raising awareness for breast health for the Breast Cancer Awareness Campaign, showing her continued support for women all over the world. 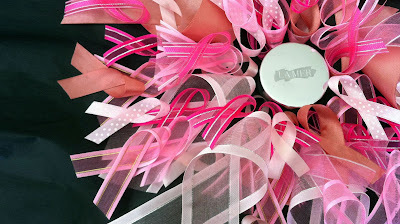 You can show your support by purchasing the Limited Edition La Mer Lip Balm, of which $ 10 will go towards BCA - while available! 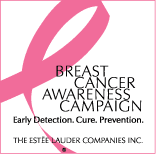 Crème de la Mer, the jewel in the Estée Lauder crown, launches the Limited Edition Lip Balm, to help make a difference in the fight against breast cancer* during Breast Health month, every October. Available at lamer.com, specialty stores including Bergdorf Goodman, and select Neiman Marcus, Bloomingdale’s and Saks Fifth Avenue stores nationwide. Available exclusively at Holt Renfrew in Canada. The signature pink ribbon, co-invented by Evelyn Lauder in 1992, with more than 115 million distributed, evolves into wristlets, featuring a beautiful, single-knot tie that elasticizes to fit any wrist. This year, a blue Swarovski Crystal has been added to our Estée Lauder Jeweled Pink Ribbon Pin to represent the approximately 1% of all breast cancer cases in the United States that are diagnosed in men. 2011 Sees the launch of BCAcampaign.com, the first-ever website to serve as a global destination for news, worldwide event information and tips on breast health and healthy living, also at facebook.com/BCACampaign. Cute Crème de la Mer emoticons from the Japanese De Le Mer Shopping Guide. Also Available: La Mer wallpaper for your phone! 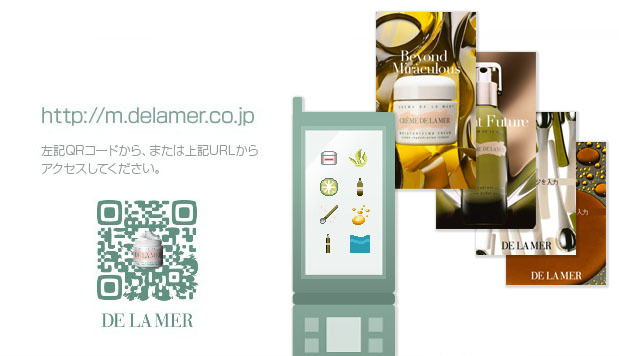 Exclusive to mobile members of De La Mer Japan. In segment 1 of “For Your Eyes Only” we looked at which of the Crème de la Mer eye crèmes, The Eye Balm Intense, or The Eye Concentrate best suits your skin’s needs. Now we’re looking into the application of the crèmes to the vulnerable eye area. 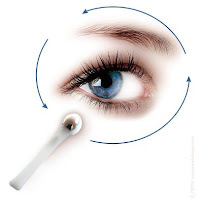 Accompanied by the specially-engineered genuine silver-tipped applicator, which helps to cool the skin, immediately stimulating micro-circulation, leaving your eyes looking more vibrant and conditioned. NOTE: If you are allergic to silver, refrain from using the applicator, use your fingertips instead. To start, dip the applicator into the crème, about ⅔ for The Eye Balm Intense, and ½ for The Eye Concentrate, or as recommended, about a pea-sized amount. What I did at first was use way too much (wanting quicker results), and it ended up making my eyes look puffy – stick to the small amount – your skin can only absorb so much Crème de la Mer at a time. Begin at the temple, sweep underneath the eye towards the nose, then circle the eye area above the brow, returning to the temple. Repeat 3 times, and then using your ring finger, gently pat the area around your eyes. The reason we use the ring finger is because it uses the least amount of pressure of all the fingers, thereby reducing long-term damage to the skin. TIP: If you want to distribute the crème more evenly, follow the procedure above using small circular motions as you round the eye area. TIP: Avoid applying the crème too close to the eye, to prevent it from getting into your eyes. 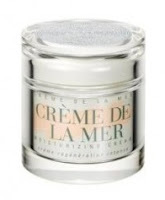 The global release of the new travel-sized Crème de la Mer The Concentrate is October 1, 2011. The size of the new Concentrate is 1oz. (30ml), and joins the 1.7oz. (50ml) size. The design of the petit-sized Concentrate will look exactly the same as the 1.7oz., and also incorporates the dropper. The major advantage of the smaller version will be to take with you on your travels, as pricing for the 1.7oz is around $375* (£295*) and the 1oz. $280* (£220*). 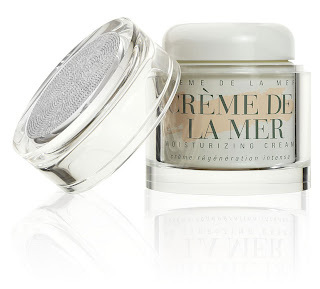 Which of the Crème de la Mer eye-crèmes is best suited for your vulnerable eye area’s needs? The Eye Balm Intense or The Eye Concentrate ? Let’s take a look at the differences between the two – in this our first segment, “For Your Eyes Only”, segment 2 focuses on application methods and targeting areas of concern. Originally named The Eye Balm, the light guacamole-green crème gets presented in a white glass pot. After using both treatments for a couple of months, I find The Eye Balm Intense a lighter option, effectively improving puffiness and dark circles in the eye well, also diminishing the look of fine lines and laugh lines around the eyes, leaving the skin feeling softer, smoother and looking more luminous. I find The Concentrate , avocado-yellow in the bottle-green glass pot, the more powerful option, especially after a late night – it quickly reduces puffiness, and visibly tightens the skin around my eye area (and is less damaging than the “model’s secret” ice cold spoons on the eyes). Formulated with Hematite, a magnetically-charged mineral, which aids in improving dark circles, unevenness, and discolorations, The Eye Concentrate also boosts the tone and firmness of your skin. Both treatments contain a triple concentration of the original Miracle Broth, and offers thorough moisturizing, and anti-aging benefits, the Marine DePuff Ferment (derived from energy-rich deep-sea red algae and activated with a rare tourmaline) to rejuvenate tired skin and decrease puffiness, and the Lifting Ferment (a combination of marine algae, peptides, botanicals and essential minerals) that strengthens the thin area under your eyes, which helps to boost your skin’s natural production of collagen and elastin, improving clearness and brightness. If you believe that prevention is better than cure, my recommendation is The Eye Balm Intense , if you need a little bit of a “boost” for your eye-area – opt for The Eye Concentrate . Jennifer Lopez, Ashlee Simpson, Hilary Swank, and Mariah Carey.